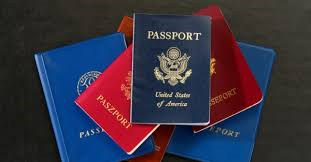 Many international travelers may not realize that having an unexpired passport is sometimes not enough to enter certain foreign countries. U.S. citizens traveling on passports that expire in fewer than six months have increasingly been denied airline boarding or been detained upon arrival in certain foreign destinations. Check your passport if you are thinking of taking a trip soon! Regular processing requires 4 -6 weeks. Expediting is available for an additional fee and has a processing time of 2-3 weeks.